More often than not, those of us who love drinking and go pub crawling during the weekends would have our favorite brand of “shots” to knock back, and the local bartender knows our choice of poison without us having to, er, shoot our mouths off. Well, just in case you happen to want to knock back a few shots in the comfort of your own home, how about making sure that you would do so in style? 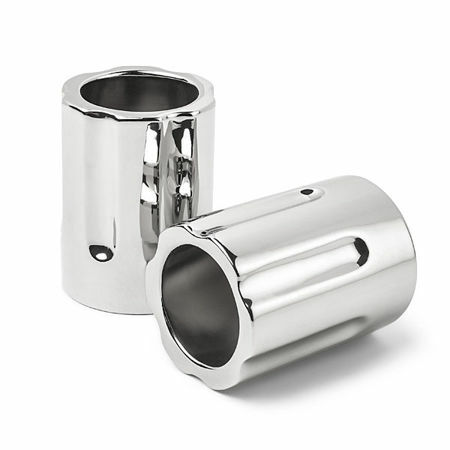 This is where the $9.99 Revolver Shot Glasses come in handy, being a set of 2 miniature replica revolver cylinder shot glasses which sport ceramic material alongside chrome coating. These are stylish to say the least, but unfortunately, they are not dishwasher or microwave safe.